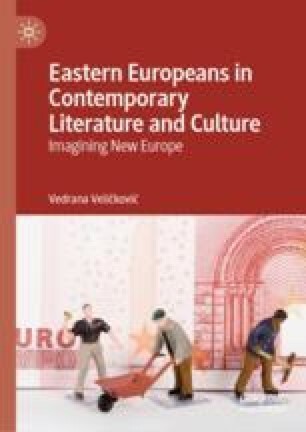 This chapter examines the emerging contact zones between Eastern European migrants, former postcolonial migrants, and black Britons before and after the Brexit referendum, focussing on the plays by Mike Phillips, You Think You Know Me but You Don’t and Kwame Kwei-Armah’s Let There Be Love, Caryl Phillips’s novel In The Falling Snow, Andrea Levy’s short story “Loose Change”, Gary Younge’s programme Eastern Europeans in Brexitland and Meera Syal’s monologue for the Guardian’s Brexit Shorts “Just a T-shirt”. It shows that these new alliances remain unpredictable, precarious and cannot be based only on the alignment of uncommon strangeness. But while the pre-Brexit depictions of Eastern Europeans have sometimes fallen prey to worn-out stereotypes, Younge’s work and Syal’s play offer many reasons to be hopeful about the future of these representations.